If you know Andy Cohen, then you definitely know Wacha. It's hard to miss the smiling pup all over his Instagram page -- and you'll never find Cohen strolling the city alone without a leash and his four-legged friend in-hand. And if you were to ask Andy about his beloved rescue dog, you better believe he's going to talk. Clearly, Wacha's a big part of his life. 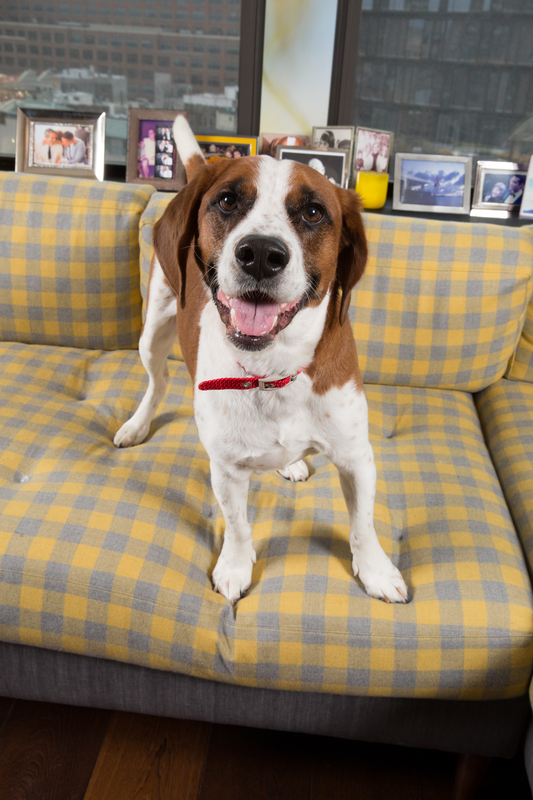 We caught up with the reality television host at Chelsea's Gallery 28 to talk all things dogs, diets and the biggest changes he's seen in Wacha since he began Purina's 28-Day challenge. AOL: Wacha is so cute! Can you tell us about how you guys met? AC: We met on PetFinder -- which is so amazing because we're here promoting this partnership with Purina One 28-Day Challenge. Everyone who signs up, Purina One is donating five bucks per person to Pet Finder's foundation, which promotes animal rescue. 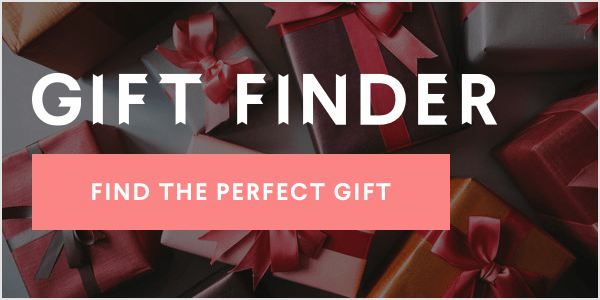 It's a crazy, full-circle thing that I'm back with PetFinder through this partnership. Do you know his story? What about his breed? Yeah, he's a beagle-foxhound. He's five-and-a-half, from West Virginia and was in need of a home. Can you describe what PetFinder is? For me, it's like a Tinder for dogs! I'm clicking through pictures one night when I got home from Watch What Happens Live. All of a sudden, I see his eyes looking up at me. I always loved Snoopy -- and he's like a Ralph Lauren Snoopy. I just was like "I need this, this is my dog." And I'm telling you, this is after I flipped through like a hundred pictures. "No, no, no, no...yes." He's my first dog ever. It's crazy, I never would have predicted that I would turn into a dog person. I got him five years ago, I adjusted great. It was pretty cool. So, tell me about this partnership and how you realized you wanted to put Wacha on this challenge. Purina, by the way, is based in St. Louis which is my hometown. I always sort of had this fondness for the company. They saw what a big following Wacha had, and that he was a rescue, and they promote rescues. I put him on Purina One and saw that his coat was shinier and his eyes were clearer, he had good energy. And he loved it. I was like "Oh, this is great!" So, it's a perfect partnership for me, because I actually use the product and they're promoting rescues. You’ve been working with Purina for a few years now. How have you seen the project grown? It's cool because the whole thing has been with the Purina One 28-Day Challenge. In every iteration, they've always had a charitable component to people signing up. And it's always going to animal rescue -- whether it's the North Shore Animal League or The Pet Finder's Foundations, I'm always excited about their partnerships and it just seems worthy of our time and promotion. And it's fun to do stuff with my dog like this. It's cool -- they set up this whole gallery exhibit with pictures of my dog and other rescue dogs. How cool is that? This was Wacha's challenge, but was there any sort of 28-day challenge that you took on yourself? I've been on my own 28-day challenge for eating right, drinking less, but that's been this whole year. We're kind of on this together. Do you ever let your dog indulge and feed him table scraps? I never feed him table scraps. It's great -- he doesn't beg. Any time I'm eating, he comes right up and sits there and watches, but he's never gone for it, which is really kind of amazing. Wacha seems like a popular dog. Any celebs he’s particularly fond of? He loves John Mayer and he loves Anderson Cooper. He's friends with Trey Anastasio's dog Tiko and he's friends with Kissy Broderick, Sarah Jessica Parker's and Matthew's dog. And he's friends with Moxie Williams (Allison William's rescue) and Gary Fallon (Jimmy Fallon's dog). Check out my @radioandysxm Town Hall with @camerondiaz tomorrow morning and On Demand on the Sirius app! GREAT BOOK ALERT! #therainbowcomesandgoes is a beautiful book that will resonate for all generations, especially mothers & their sons. It's by @andersoncooper & his mom #GloriaVanderbilt - riveting, touching, dishy, funny and surprising. And a great Mother's Day gift! It's out today! AC2 in NEW ORLEANS (6/24) & AUSTIN (6/25)! tickets on sale NOW! Go to AC2Live.com for more info! Sheree! Phaedra! Porsha! #WWHL at 11! It's @broadcity night on #WWHL - can't WAIT for @ilanusglazer & @abbijacobson to peg us all!! At 11! TONIGHT AT 8:30: One-On-One with Kim Richards. Happy 15th Anniversary @kellyripa! I loved being a surprise guest today and had I not choked when I came out, would've said how proud I am of you. Nobody does it better!